The iPad finally has some competition. 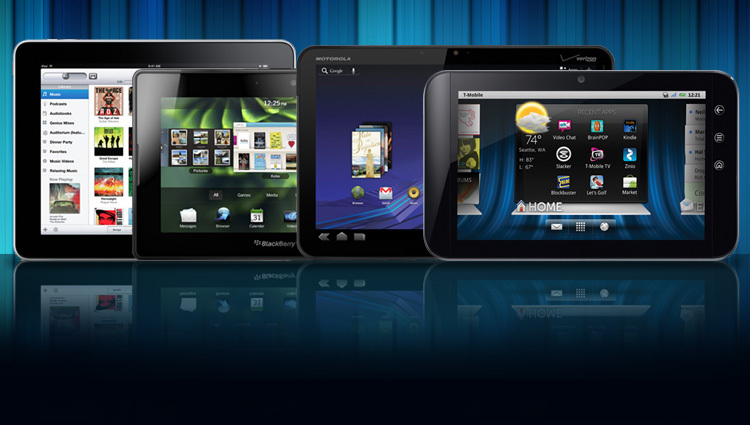 After dominating the tablet market since its inception, the iPad’s one-year anniversary will bring major competition, including RIM’s BlackBerry PlayBook, Motorola’s Xoom, and Dell’s Streak 7. We lined them all up to see whether any of them will ultimately manage to topple the reigning champ. That said, the iPad actually has a bit of an artificial disadvantage in this comparison, because it’s old and up for replacement soon, while the others are brand new. It will largely be the iPad 2 that will be competing with the other tablets on the list, so I’ll try to add what I think will be in the iPad 2 as we go through the comparison to provide more balance. I’ve had the Dell Streak 7 for several days, and have an iPad in house, but have not used the Playbook or Xoom so will be working off of known stats entirely for these devices. We’re going to look at screen size, network performance, processor performance, whether they can be tethered, DLNA support, operating system, number of apps, Flash support, cameras and quality, sensors, max storage, portability and battery life. This is in no particular order. The Streak 7 and Playbook both have 7-inch screens, bringing them more in line with the original Kindle form factor. Due to weight, this is better for books and for women who want to be able to put one in a purse. For men, you could put it in a coat pocket, but it clearly wouldn’t be as portable as the Streak 5, and Dell has a line that will include a 10-inch product later in the year. Dell’s advantage over the other players, at least initially, will be one of choice, and they maintain a consistent user experience across the line. Ideally, you might buy several and pick the one that most fit what you wanted to do, but at initial prices, I doubt there will be many who can afford to try this. Seven-inch and smaller screens are better for use that is closer to a radio, video player or e-reader. 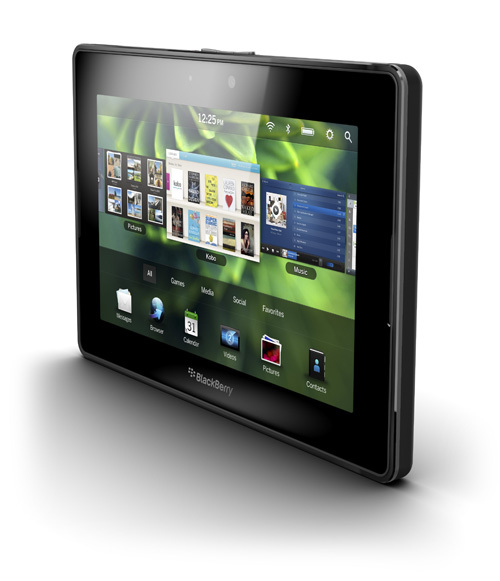 Ten-inch screens are better for Web surfing, note taking, light productivity, and viewing digital pictures. You’re more likely to carry a 7-inch tablet as a supplement to a laptop, and a 10-inch tablet on its own. It depends what you want to do, kind of like comparing a sports car and an SUV. These things live off the Web, and the faster the better. All but the iPad are 4G devices, but I’m expecting the iPad 2 to close this gap by adding 4G. Initially the Streak 7, Xoom, and Playbook will have an advantage here, but they will likely lose it before the year is half over. The only product that doesn’t have a new dual-core processor is the iPad, and both the Xoom and the Streak 7 have Tegra 2 chips, which deliver strong graphics. Multiple cores provide better multi-tasking performance. Historically, the primary benefit of that is the ability to use anti-malware products (the Streak 7 ships with one) without bringing down system performance critically. This last point is becoming more important as hackers focus more and more on these emerging platforms.